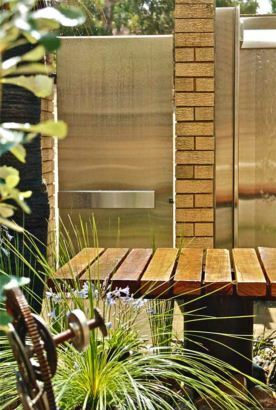 This rear courtyard to this Harry Seidler designed apartment complex was redesigned, & whilst retaining the original courtyard walls, created a simple contemporary space. 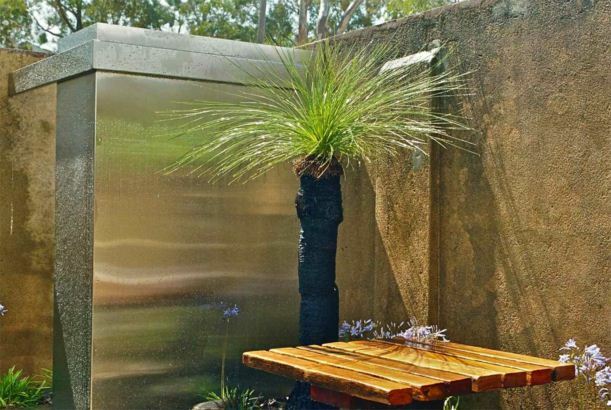 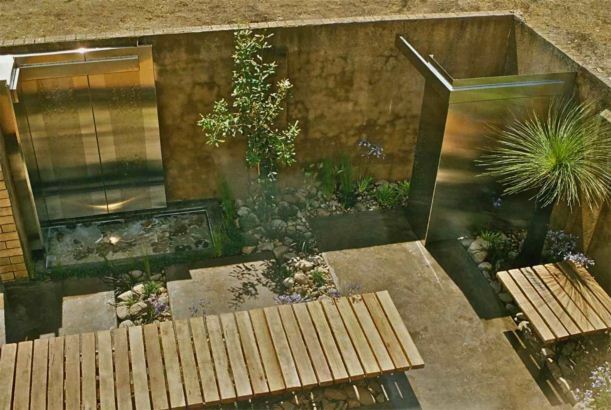 Steel framed recycled timber benches, polished concrete slabs, stainless steel screens & water feature contrast with the varied & textural plantings. 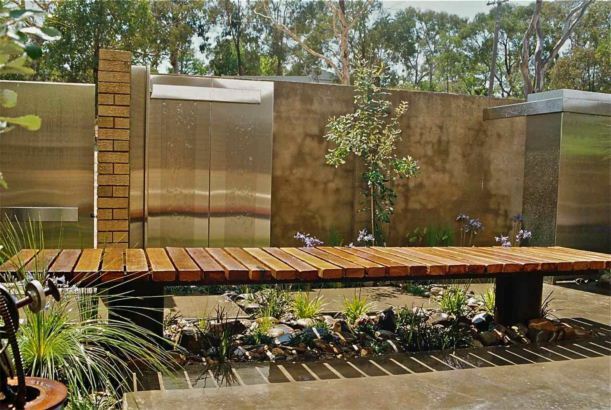 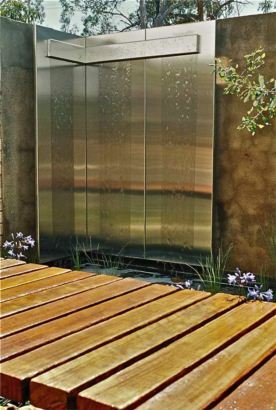 ABC Landscapes was the principal contractor, Canberra Gates & Doors, & Still Standing Sheetmetal fabricated the steelworks & Thor’s Hammer supplied the recycled blackbutt timber.